The following videos show you how 4D Technology's 4D InSpec Surface Gauge is used in various applications and environments. See 4D InSpec making measurements on the robot arm at the IMTS 2018 show in Chicago. Business Development Director Erik Novak explains how it works. Mounted to a robot arm, the instrument moves, pauses and makes a measurement, demonstrating vibration and movement tolerance to get defect inspection measurements easily and quckly. The automation system triggers the measurements. 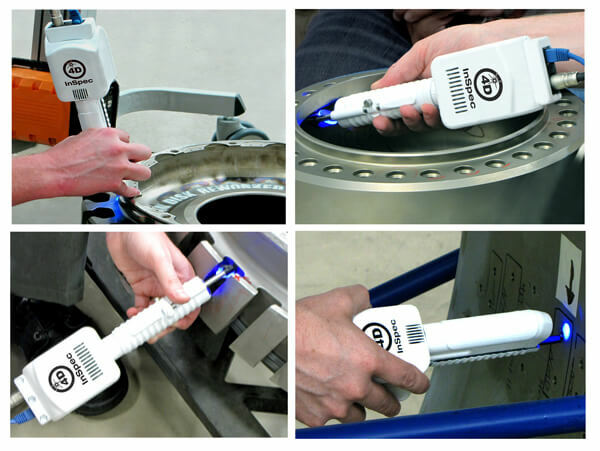 The 4D InSpec Surface Gauge is the first handheld, high resolution instrument for measuring surface features and defects in shop floor environments. 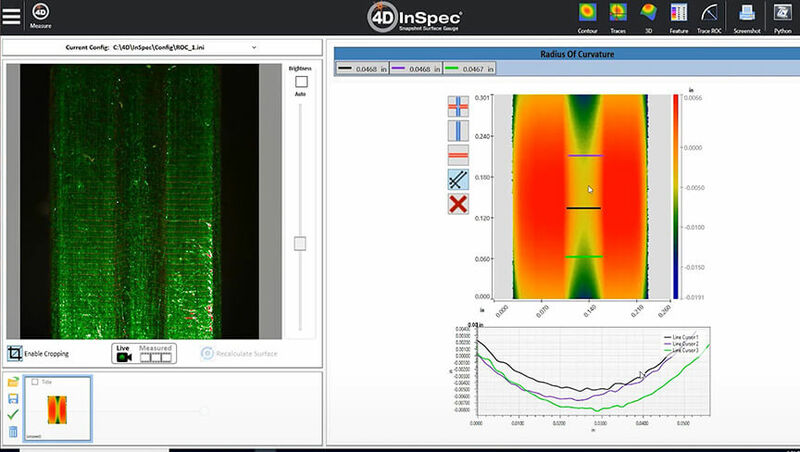 This video shows you how the 4D InSpec can change the way that you do inspection by putting accurate, affordable 3D measurement where you need it: on the factory floor, in machine shops, and in field service applications. 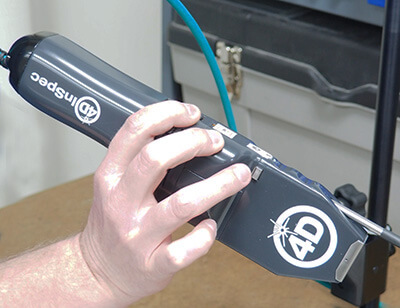 The 4D InSpec Surface Gauge is the first handheld, high resolution instrument for measuring surface features and defects in shop floor environments. 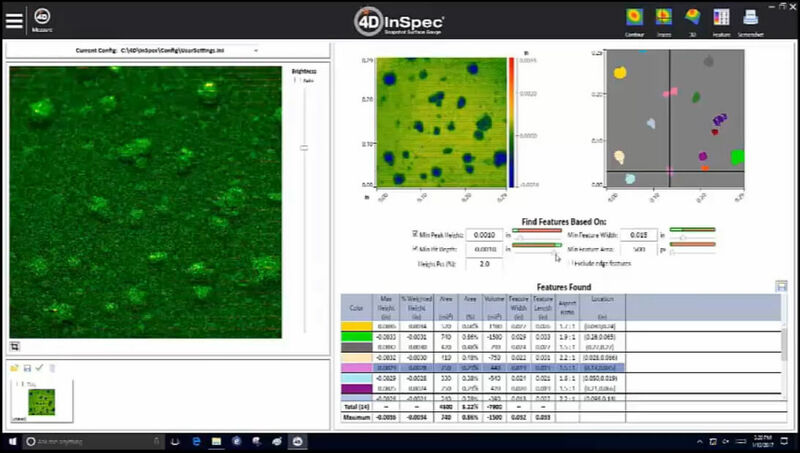 Erik Novak, Product Manager for the 4D InSpec, shows how to measure surface defects in just seconds, with micrometer resolution. 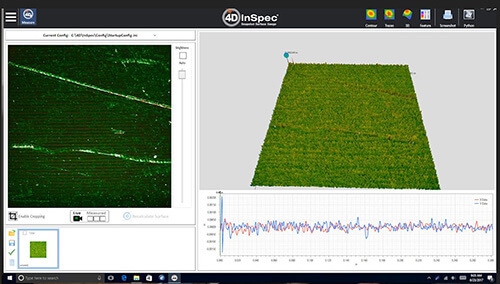 This video shows how to use the 4D InSpec Feature Analysis to locate and measure pits, scratches, bumps and other features in the field of view. Thresholds make it easy to automatically find just the features which are out of specification. 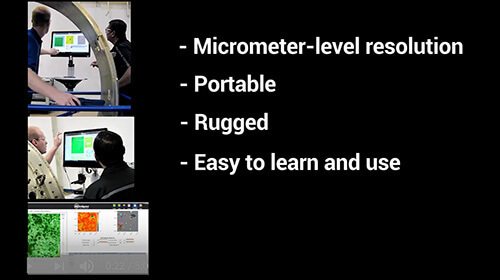 2D and 3D views, cursors, and other tools help you visualize and report your surface measurement data. Measuring corrosion, scratches and other defects on the edge of turbine blades is critical for ensuring proper performance and longevity. This video shows how the 4D InSpec Surface Gauge is used to measure blade edges and to accurately measure defects, even on complex curved surfaces. 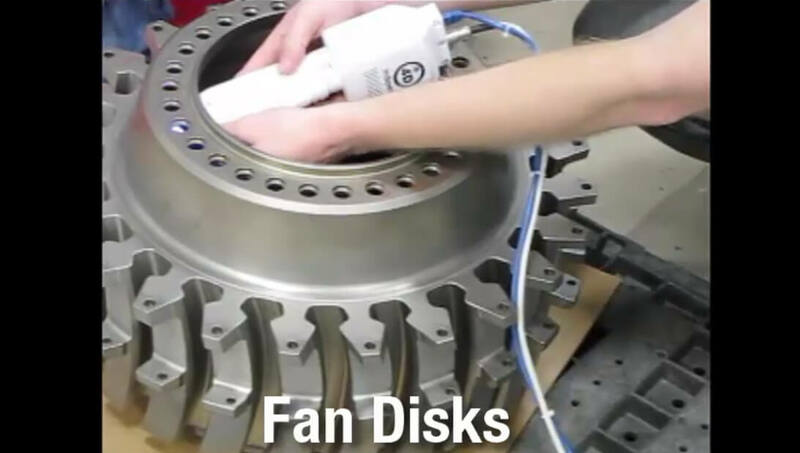 This video shows the handheld, portable 4D InSpec Surface Gauge being used to measure surface defects on various aircraft engine components, including casings, fan disks and turbine blades. This video contains no audio. This webinar, held on January 19, 2017 and presented by Dr. Erik Novak of 4D Technology, discusses the challenges of measuring surface defects and fine features in shop floor environments. The 4D InSpec Surface Gauge is introduced as an affordable, handheld, high resolution tool for measuring surface defects and features. Its large field of view, ability to measure in tight corners and bores, measurement time of just a few seconds, and immunity to vibration make it an excellent solution for measuring large and small components in manufacturing environments. Learn how the 4D InSpec Surface Gauge is used to measure the radius of curvature, blend radius, etc., for precision machined components. Using reference areas to check height and depth of features on parts which aren't primarily flat areas. 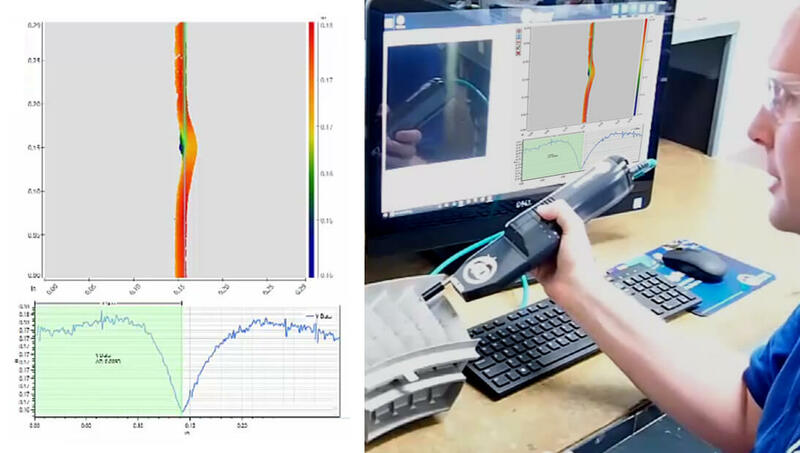 This video shows how to optimize the brightness (intensity) level to get the best measurements with the 4D InSpec Surface Gauge. 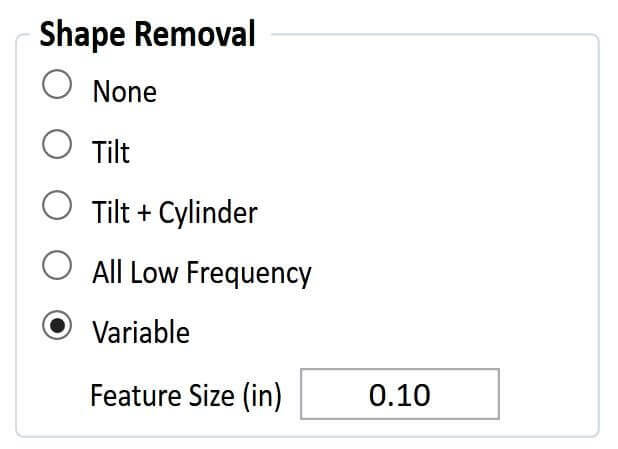 This video shows how to use the 4D InSpec's Shape Removal tools to subtract the overall shape from a measurement so that individual surface defects and features can be accurately measured. 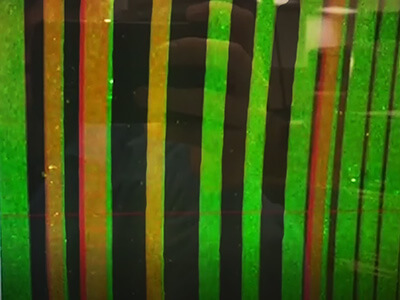 This video shows the quick process for periodically verifying calibration of the 4D InSpec Surface Gauge. 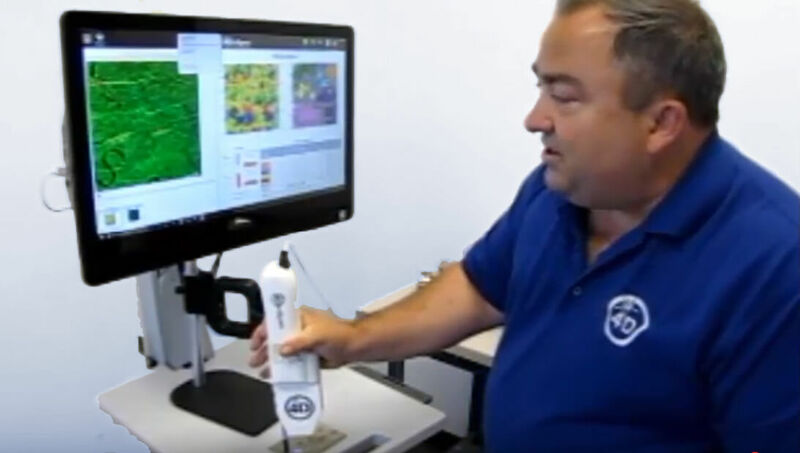 This video shows describes how to install the 4D Technology 4D InSpec Surface Gauge for high resolution, handheld measurement throughout the factory. Installation takes just a few minutes, and learning to use the gauge is fast and easy as well.